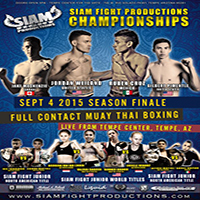 See Siam Fight Production’s 2015 Season Finale for FREE! The next Siam Fight Productions show is right around the corner! 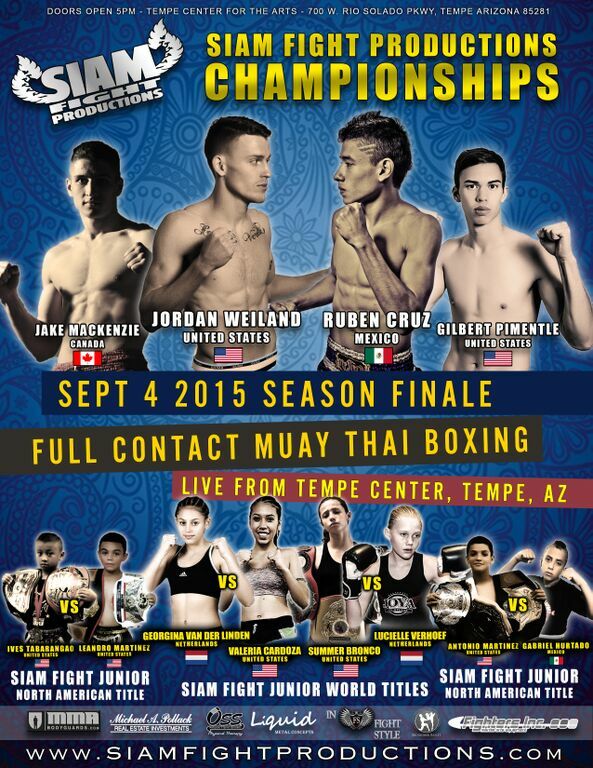 The 2015 Season Finale will be held at 5 pm on Friday, September 4th at the Tempe Center for the Arts. If you’d like to see it for free, read on for details. Any volunteer who signs up for one or more shifts gets to see the show for free. It’s going to be a great card, with fighters coming from around the world to compete for regional and world titles. You won’t want to miss out. Please click on the link below to see available shifts. If you have any questions, stop by the gym or email siamfightproductions@gmail.com. Thank you for your support!